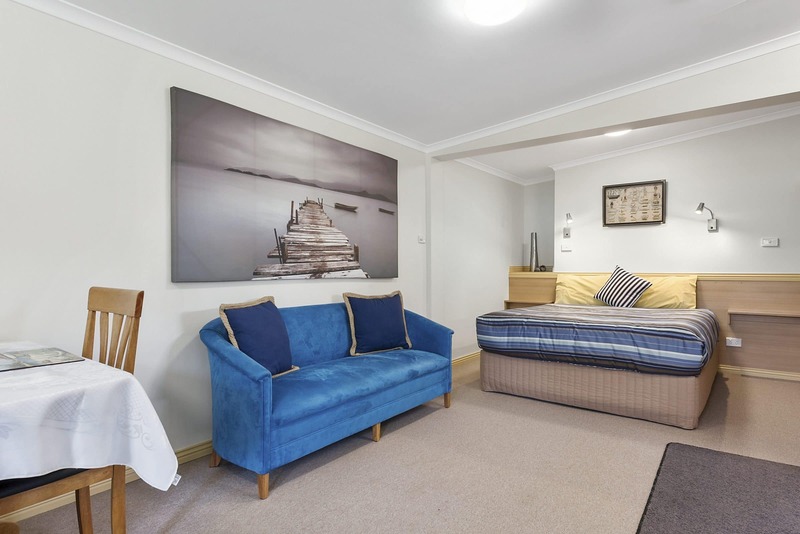 Sally & Mark invite you to enjoy the quality of the award winning Strahan Bungalows situated in the charming waterfront town of Strahan, on Tasmania’s ruggedly beautiful West Coast. 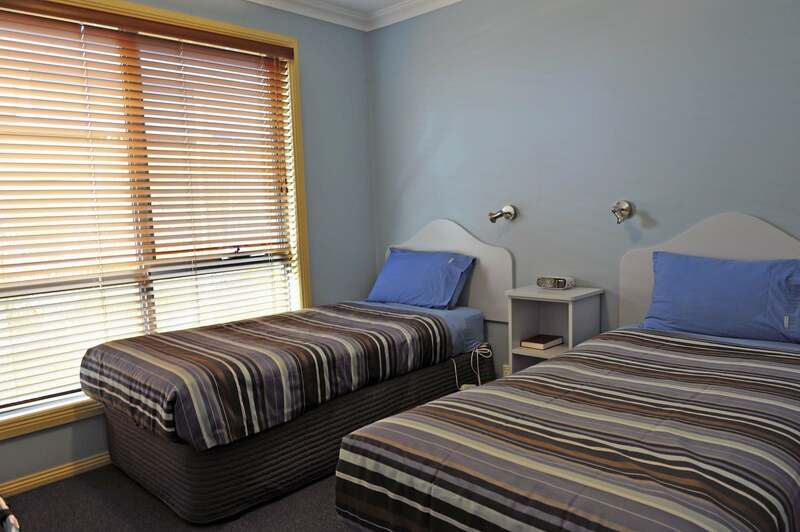 The Bungalows offer guests exceptional, contemporary and comfortable five, two bedroom apartments and one bedroom, queen suite, all self contained at genuinely affordable prices… so you can be assured of getting outstanding quality Strahan accommodation coupled with friendly and helpful service! Perfect for 2 persons. Queen Deluxe Suite, with en-suite bathroom, modern lounge setting. This is 2 bedroom with a queen bed in 1 bedroom, 2 singles in the other. This bungalow is designed with disability access. Bookings via website or phone. The 3 bedroom bungalow has queen bed in one room and 3 singles in the other. The 2 bedroom bungalow has queen bed in one bedroom and 2 single in the other. …well appointed, quality in spacious accommodation. 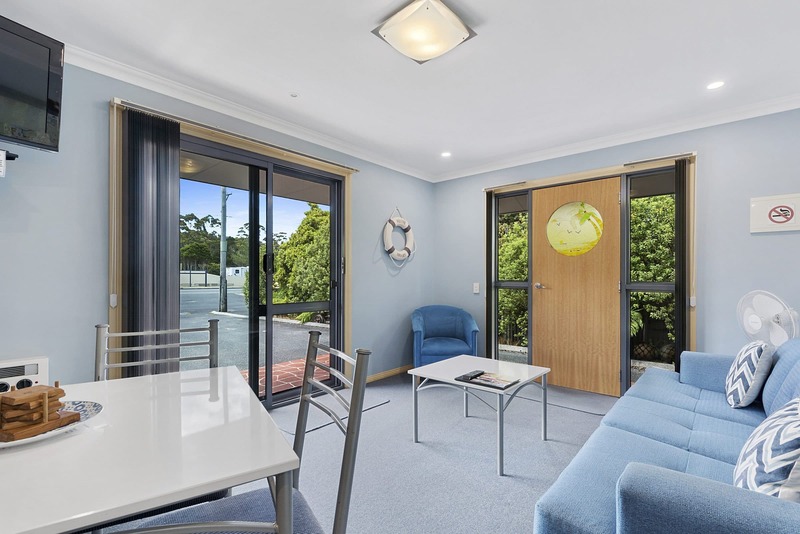 Very clean, well decorated rooms, loved the tasteful nautical theme. Best Compendium for information I’ve ever seen for guests. We’ll be back to these Bungalows as a base for Strahan. Highly recommended this accommodation. 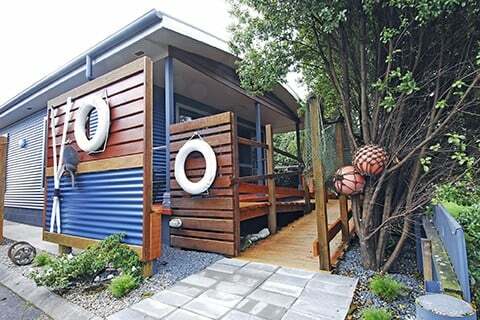 © 2019 Strahan Bungalows. All Rights Reserved.